Measuring CX is vital, but difficult, to do, according to Gartner, as there are hundreds of metrics to choose from and various levels within an organisation to which they should be applied. This was the message from Ed Thompson, distinguished analyst at Gartner, at the recent Gartner CX Summit in Sydney. Despite the difficulty of measuring CX and linking it back to financial gain, it can be done if organisations focus on managing down as well as managing up, being inclusive of all parts of an organisation, and proving ROI. Thompson said measuring CX can be hard to crack, with the most commonly used metrics being Net Promoter Scores (NPS) and Customer satisfaction (CSAT) scores. However, there are new metrics becoming available. “We see about 25 per cent of organisations using NPS to measure CX. But if we just look at the largest 10,000 companies in the world, it’s at about 75 per cent. CSAT tends to be used the most often,” Thompson said. With regards to NPS, the downsides can be achieving consistency across questions and collection of data, Thompson continued. Drawing conclusions about causation is also difficult, as is closing the loop, getting buy in from executives, and proving a financial link of NPS. Strengths of NPS meanwhile include higher response rates, strong executive understanding of the metric, and its industry and cross-company benchmarkability. “There have been a few innovations around NPS, where people are tweaking it. There is the Customer Effort Score by CEB, which claims to be a better predictor of revenue growth and profitability than NPS, but more for customer service orientated organisations. Often NPS and CES are used together, with NPS as the output, and CES used to actually affect change within the organisation. This trend is growing,” Thompson explained. “There’s the Word of Mouth Index by ForeSee, I quite like this one. This says NPS overstates detractors for the biggest brands by 780 per cent, because just because someone is not a promoter doesn’t mean they are a detractor. It is a slightly more nuanced approach. Thompson went on to explain emotion analysis is now being used in the top 2-3 per cent of organisations. But regardless of which metric is used, Thompson said a key mistake being made is picking a metric and driving it right through the organisation when many don’t understand it. “We would argue for a hierarchy of metrics relevant to individuals in different levels of organisations. We see a lot of organisations trying to shortcut this by not systematically working out what level of metrics they should put into each level of the organisation," he said. "As long as it’s transparent and people can see how they can affect it, then they are interested. But if you can’t see how to affect it, you get a lot of dissatisfaction from employees,” he explained. 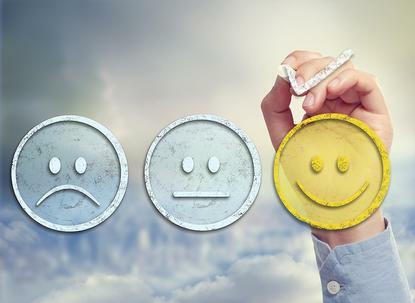 Thompson reiterated the correlation between employee satisfaction and customer satisfaction and how most organisations aren’t being inclusive enough when it comes to CX metrics. “If we ask who measures CX, we get customer service people or marketing departments, and maybe HR in some companies. The thing that’s missing is process improvement, product engineering, R&D, operations, and manufacturing. The bottom line is, the core quality of the product or service impacts the CX. What are you doing in the core product or service in terms of quality? The next difficulty around measuring CX, is demonstrating ROI, because it’s an indirect cost centre benefit that can take years to realise. “You can measure ROI on CX, it’s hard and takes time and effort. Those organisations that do measure it, simply have people who measure it on the job - it takes resourcing,” Thompson said. 1. Avoid using only one top-level CX metric. Short-term improvements to the single top metric rely on improvements in multiple lower-level CX metrics. 2. Work with the strengths of NPS and try to minimise the downsides, particularly improve staff understanding of how they can influence the measure. 3. Watch metrics across the whole organisation, not just one or two, and identify how each metric is calculated, who tracks it, and who is accountable for the improvement. 4. Create a hierarchy of CX metrics. 5. Don’t ignore the most neglected categories, such as quality and employee engagement. 6. Move to emotional metrics if relevant.